As you take on spring cleaning in Florida, have you thought about all the money that could be collecting dust in your garage? Whether you are retiring from riding, need quick cash for summer, or you are looking to upgrade your motorcycle in 2018, now is the perfect time to get thousands of dollars for your old Harley Davidson. Summertime is a great time to enjoy family trips, home improvements, or spending a little extra cash just doing the things you love. Although looking into the next couple of months, you may be wondering how you will be able to pay for those luxuries. Have you finally said to yourself, “I am going to sell my Harley Motorcycle for cash!” If so, we have all of the information you need to get top dollar for your used motorcycle. When selling a Harley Davidson in places like Orlando Florida there are a few tips that we always share to make sure the process is smooth and most beneficial for you. 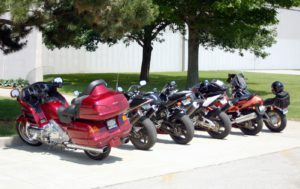 Now is the perfect time to sell your used motorcycle, as the demand to buy a motorcycle is higher in many states. In places like Michigan, where riding season in limited, this is the time riders like to upgrade or buy a different bike. We are able to get your used motorcycle to the places the demand is high, without taking it out of your profits. There are many reasons why you should avoid selling a Harley Davidson using local classifieds. Time, money, and safety are just a few. Depending on where you choose to list, you could be paying hundreds of dollars just to list your Harley Davidson. All this does, is take away from the cash you receive when selling your motorcycle. If you have a busy lifestyle, like most of us do, returning phone calls or setting up showings can be a challenge. Also, do you really feel comfortable inviting complete strangers to your home, or to meet you for a transaction of such a high dollar amount? Another piece of advice we share when residents in Florida want to get cash for used motorcycles is to avoid dealer trade-ins. When you trade in a motorcycle to your local Harley dealership, the profit you receive off of your motorcycle drops. Why is this? Dealerships want to make the most profit possible off of your bike. Paying you less, allows them to spend the remainder of what you should really be receiving to get your bike back into like new condition. This allows them to make more off of your financial loss when your bike sells. If you are looking to upgrade your bike, instead of falling for the dealer trade-in offer. Contact us to sell your motorcycle for cash. When you go to the dealership to purchase a new Harley Davidson motorcycle, take the cash with you and apply it to your purchase. You will end up with more money towards your new bike than you would have you accepted a trade in offer. When you decide you are ready to sell us your motorcycle, keep in mind the benefits that we can offer. We come to you! You do not have to leave your home. Quick cash, no payment plan or hoping a check clears. No wasting money on classified listings. No setting up appointments with strangers who may not show. This entry was posted in Florida, Motorcycle Buyers FLorida, Selling Motorcycles Florida, Used Motorcycle and tagged cash for motorcycles, Florida motorcycle buyers, Selling Harley Davidson, selling used motorcycles. Bookmark the permalink. We Buy Boats Now Too!